With so many builders out there, you have to be cautious when choosing the one for your home. Ask about their building process, the length of time their usual build takes, and their warranties. Different builders offer different warranty durations on materials and workmanship, so it’s best to know this beforehand. Go with building companies with a good reputation in the community, one that has been in business for years. Find out what past clients think about their work by going online to check reviews on them or to read testimonials on their website. Check out the company’s qualifications and if their licensing is up to date. You should also see if they’ve been subjected to any lawsuits or any disciplinary action by local agencies or the state. New construction homes are usually found in developing neighborhoods. Before you buy into the area, make sure you’re aware of its advantages and disadvantages. Talk to the residents and ask about what they think about the community. Also, try to visit the neighborhood at different times of day to find out the community vibe. Pre-built homes aren’t the only ones in need of home inspections. Newly-constructed homes can also have as many problems as older ones. Thus, find out as much as you can about your new home especially if there are any major problems. It’s best to get a home inspection as soon as possible before any of the builder’s warranties expire. Having a real estate agent makes the whole process of buying a new construction home infinitely easier. Get an agent with a lot of experience working with builders and who knows the area well. They can recommend you reputable builders and other real estate professionals like landscapers and interior designers. 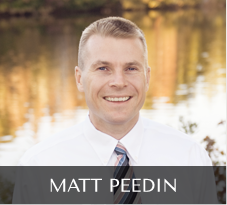 912-210-8388 or send an email to MattPeedin(at)KW(dotted)com.